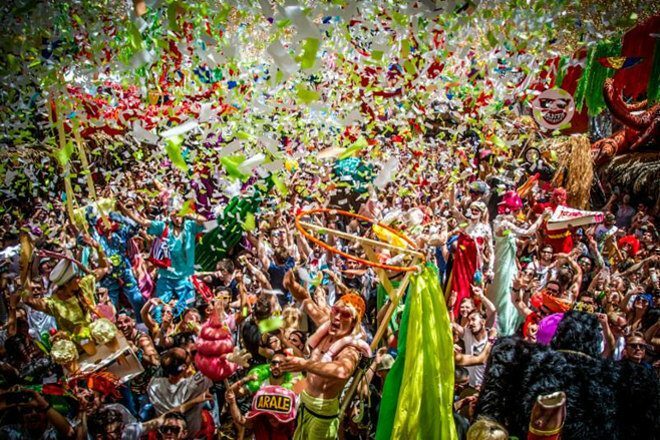 Spanish party starter elrow has announced its new event elrow Town London, describing it as a 360-degree experience. The crew will turn one of London’s iconic greenfield venues into its own small town with markets, town squares, cafes and bars, with every street acting as a dancefloor. Touted as elrow's biggest event to date, the line-up hasn’t been released yet but there will feature two stages of DJs with the usual Elrow residents involved. Elrow Founder Juan Arnau said: "We’re really excited to announce our first outdoor location in London; the biggest in the UK so far. Get ready to experience the next level of elrow, where you will take the starring role at the show. Buckle in for elrow’s craziest party yet. Together, we will make magic happen!" The location for the event will be announced a week after the Elrow theme is announced on March 14. Tickets for the August 19 event go on sale from March 29. Pre-register for tickets here.